AMD came away from Computex with a victory in the HEDT space, but the real battle between Intel and AMD is taking place within the confines of the data centre. One analyst firm believes AMD may stand a chance of taking a huge chunk of Intel’s big data market from right under its nose. 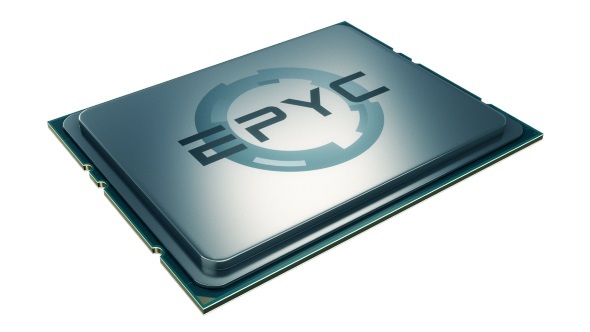 AMD’s EPYC chips were launched back in 2017, and since then have been slowly creeping into the high performance computing space. 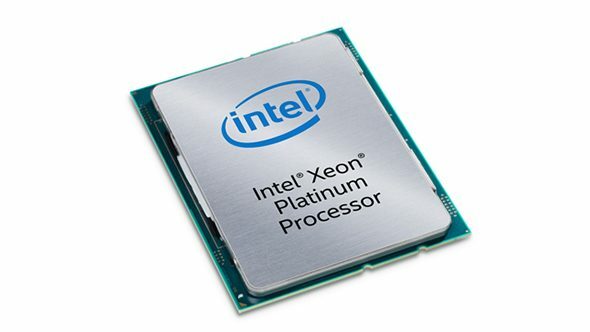 However, while AMD’s Zen-based Epyc chips are gaining ground and momentum, Intel’s Xeon Scalable chips are still top dog for most server racks. Who will win in the battle for the best gaming CPU? Here’s what we reckon. In an interview with Intel CEO, Brian Krzanich, analyst firm Nomura Instinet believes Intel are worried about AMD taking considerably shares of its lucrative server market. In Q1 of 2018, Intel’s Data Center Group (DCG) earned $5.2 billion in revenue. Even one fifth of that market is nearly double what AMD made from its entire enterprise, embedded, and semi-custom (EESC) segment in Q1 2018, some $532 million. And one fifth, or almost $4 billion in total for the entire year, is exactly how much of the server market Brian Krzanich is worried AMD could capture if left to its own devices. That figures based off of Intel DCG’s earnings for the entirety of 2017, but that’s sure to increase alongside positive growth forecasts for data centres by the end of 2018. The second generation EPYC chips are set to launch in 2019, with Lisa Su, AMD CEO, confirming the chip was sampling in the second half of 2018 during AMD’s recent Computex conference. These chips will be built on the latest 7nm process, which AMD will eventually roll out to its gaming SKUs, and that’s going to improve efficiency and performance. Intel, on the other hand, are struggling to release anything more substantial than dual-core mobile chips on its rival 10nm process. Krzanich has, yet again, delayed the process roll-out for mass production, and this is hurting the chip-giant massively. AMD CEO Lisa Su put the company’s own server unit share targets in the “mid-single-digit” by the end of 2018 back in April during an earnings call. It seems like Krzanich is a little more hopeful for AMD’s server growth than AMD themselves. Realistically, Krzanich likely wants to oversell AMD’s market position to turn any growth under 15 to 20% as a win for Chipzilla. Even so, AMD breaking single digits would be a huge success for team red. 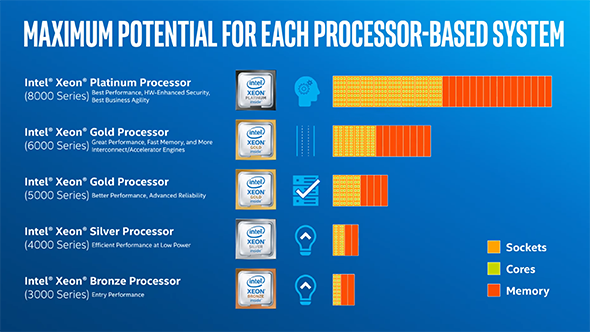 Intel is still reshaping itself to focus more directly on cloud computing, data centre deployment, and machine learning. All the while AMD is clawing back server market share as data centre and machine learning growth rises exponentially year-after-year. It’s going to take more than an overclocked server SKU to deal with AMD’s EPYC chips, that’s for sure.